MIG 296 C Digit II | Elko G.C. 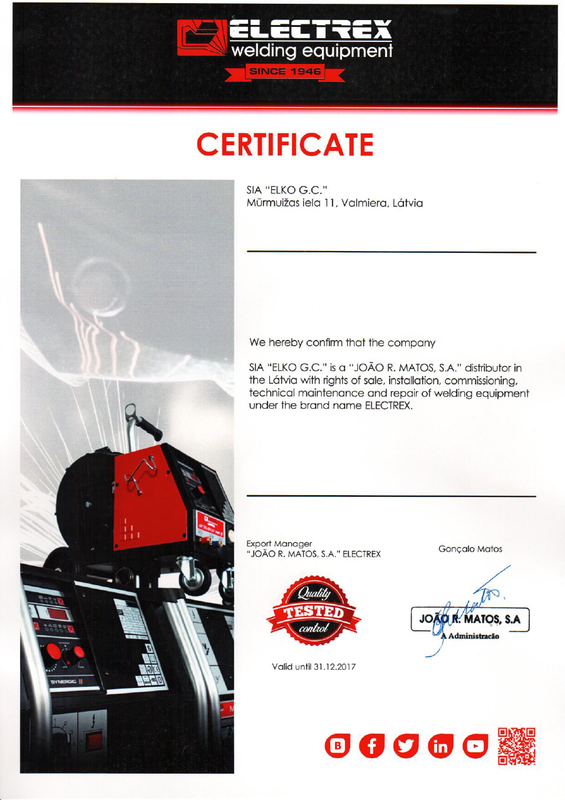 MIG 296 C Digit II is three phased MIG/MAG welding machine, step controlled, with integrated wire feeder. Primary and secondary parameters visible on 2 displays with welding current and welding voltage simultaneous reading. 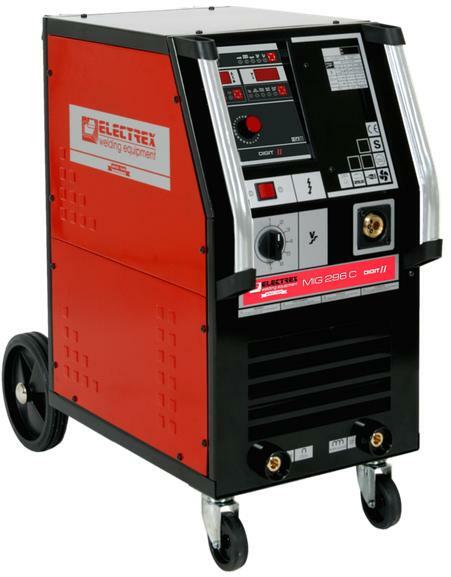 Allows welding of all steel types all stainless steel, aluminium and copper alloys and fluxed core wires. Suitable for medium and heavy metal construction, repair shops and naval shipyards. • Innovative system - Low heat continuous welding with less workpiece distortion and excellent gap bridging of thin plates. Great reduce of wire and energy consumption.